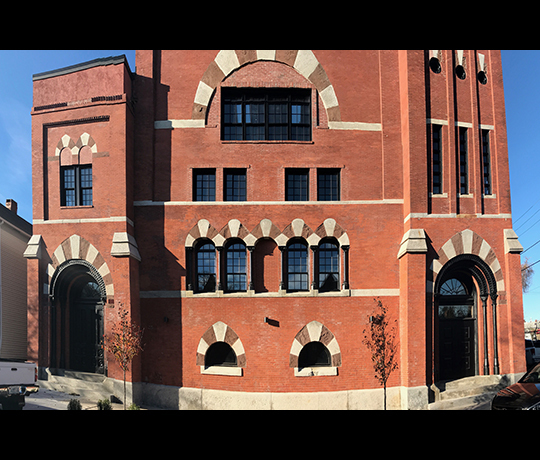 KITE is proud of the newly completed transformation of the Pilgrim Lofts in the Armory District on Providence’s West End into fifteen rental lofts. 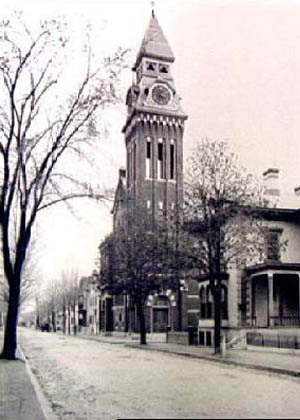 Formerly the Pilgrim Congregational Church built in 1874, the structure was damaged by a series of unfortunate events, including a hurricane which removed its large steeple as well as a number of fires which destroyed the original roof as well as gutted the interior. Given a new life as a furniture warehouse in the first part of the century, it continued standing albeit with a diminished spirit on the lovely tree-lined Harrison Street among beautiful restored Victorian houses until its newest re-birth. 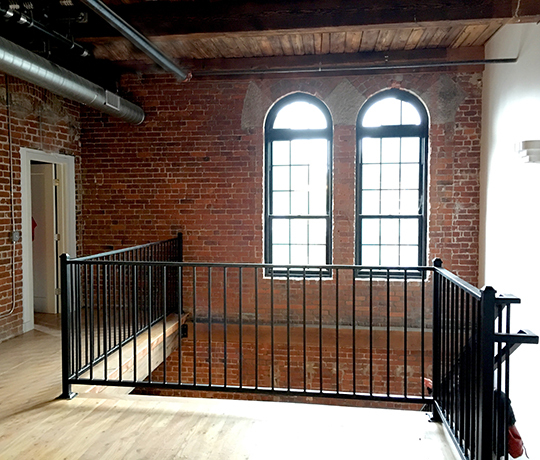 This renovation has stabilized and highlighted the sometimes quirky and always charming details of the original architecture, including eyebrow windows, stonework, and heavy timber framing. 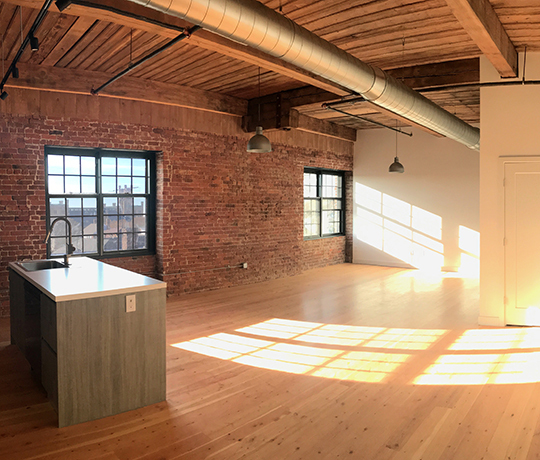 The high-ceilinged loft apartments reflect the rich character of the structure with a variety of large and unique floor plans and ample exposed brick and warm wood. New windows, stairs, and indoor parking complement the spacious, open floor plans. Rental information can be found at pilgrimlofts.com.